The weekend is expected to feature excessive heat and possible storms before making way to mostly sunny skies. According to the National Weather Service, there is a 30 percent chance of rain and thunderstorms moving into the area on Thursday and lasting through Friday night. The storms are expected to blow out Saturday morning, and residents should see mostly sunny days around 106 degrees for the rest of the weekend. The projected high for Thursday is 108 degrees. The wind is expected to stay relatively calm with occasional gusts reaching 13 mph. There is a 30 percent chance of rain and thunderstorms between 11 a.m. and 11 p.m., and the storm system is expected to linger into Friday as well. Friday is also expected to be hot with a high near 106 degrees despite the possibility of storms throughout the day. 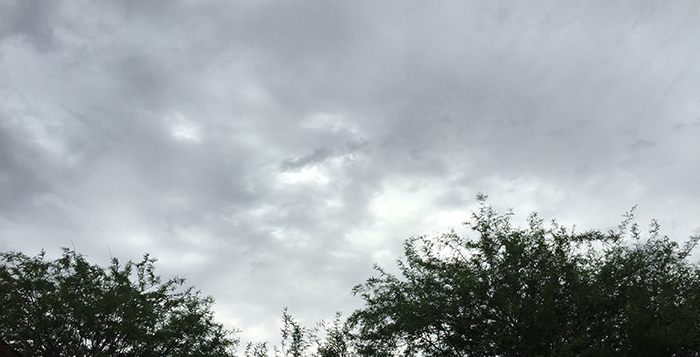 The forecast is mostly cloudy with a 20 percent chance of rain and thunderstorms between 11 a.m. and 11 p.m. The winds are expected to pick up with gusts reaching as high as 23 mph. The storm system is expected to blow out by Saturday and give way to mostly sunny skies. The projected high for Saturday is 106 degrees. The winds are expected to calm down to a mild 10 mph as well. Sunday is also projected to be mostly sunny with a high of 106 degrees. The winds are expected to stay relatively calm once again, and the sky should remain clear throughout the night. As the new week approaches, the possibility of storms will return. According to the NWS, Monday, Tuesday and Wednesday of next week are currently projected to have a “slight chance of thunderstorms.” The forecast will become more clear as the new week approaches.